Acquired Book By: I am becoming a regular tour hostess and reviewer for BookSparks, as I began to host for them in the Spring ahead of #SRC2015. I am posting my Summer Challenge reviews during November/December due to the aftereffects of severe lightning storms during July and August. As I make amends for the challenge reads I was unable to post until Autumn; I am also catching up with my YA challenge reads and the blog tours I missed as well. This blog tour marks the last novel I selected to be a part of the YA challenge which coincidentally now becomes my first posted review for the challenge, too! I look forward to continuing to work with BookSparks once I am fully current with the stories I am reading for review. I received a complimentary ARC copy of “Blonde Eskimo” direct from the publicist at BookSparks in exchange for an honest review. I did not receive compensation for my opinions or thoughts shared herein. Since I’ve resumed my readings this Autumn, a quirky turn of events has me posting this as my first contribution for #SRC2015 past my reading of Wishful Thinking! 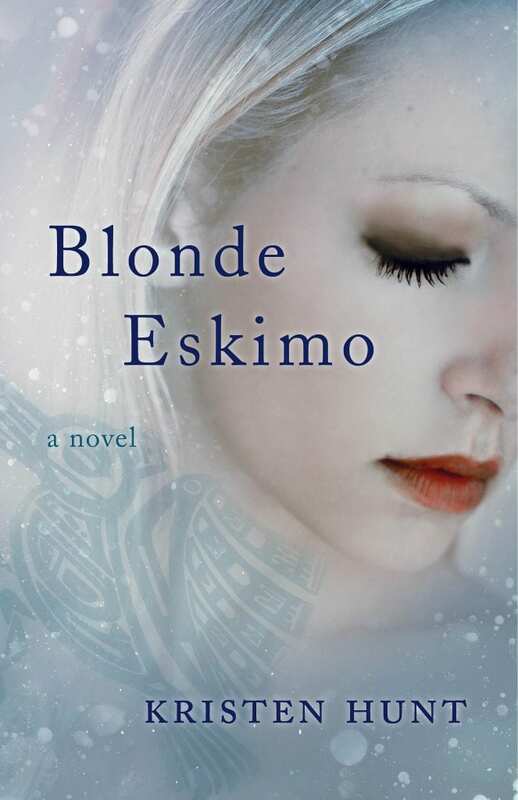 I will be following this review with more insights into my #summerreads but for now, the best discovery was realising how keenly wicked it is finding out Blonde Eskimo is a genre-bender where the different tides of it’s inner core are such a lovely read for me to enjoy! I never thought I’d find different pathways into understanding the legacy of the Vikings, but in many ways, I felt Blonde Eskimo was a way to continue forward whilst in full pursuit of Magical Realism. Notation on Cover Art: The watermark spirit animal which acts as a faint tattoo against the image of Neiva on the cover is a signal of how the story within ‘Blonde Eskimo’ are heart centred on the natural world and our connection to nature. Totem animals and spirit guides are a quintessential component of life in Alaska; and this particular motif is not only gracing the cover but the chapters as well. The spirit animals alternate between raven, fox, bear and eagle. I love the softness of the book cover, it’s not glossy but matte with a curiously soft touch. I am unsure if this will have the same textural feel outside of the ARC but this edition (even being an early copy) has all the benefits of layout, styling and the little unique touches that I hope made the final copy! Part Viking, part Eskimo, Neiva Ellis knew her family’s ancestral home, the island of Spirit, Alaska, held a secret. A mystery so sensitive everyone, including her beloved grandmother, was keeping it from her. When Neiva is sent to stay on the island while her parents tour Europe she sets out on a mission to uncover the truth, but she was not prepared for what laid ahead. On the night of her seventeenth birthday, the Eskimo rite of passage, Neiva is mysteriously catapulted into another world full of mystical creatures, ancient traditions, and a masked stranger who awakens feelings deep within her heart. Along with her best friends Nate, Viv and Breezy, she uncovers the truth behind the town of Spirit and about her own heritage. UPDATE: 6 January, 2017 finding the author's social presence has been altered, I reflected the changes in the links attached to her biography. You may or may not recall a tv series from Canada entitled Due South but for me this was a beautiful series that owned the diverse heritage of Canada alongside a lovely heart-centred mystery series who followed the life of a Mountie. I picked up the soundtrack to the series before the seasonals were released as they tend to release music before the shows themselves. On the soundtrack there is a beautiful evocation through song about the Inuit sung by Paul Gross; who is a singer-songwriter in his own right not just the lead actor in Due South. His soulful performance on behalf of the Inuit in the story of that song never left me. It’s soul-stirring and it’s epic in scope when you think about what the story is truly highlighting and giving insight into during that one brief moment of verse.